When we heard the announcement that the Game Boy turned 25 years old this week, we felt a little older ourselves. This led to a “when I was your age” discussion about all the doo-dads you needed in addition to the portable handheld systems of yesteryear. Wanted to play in the dark? That would cost you. 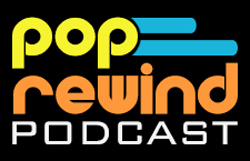 Needed your games to get you through a cross-country road trip? Better stock up on car adapters. There were so many of these gadgets out there, but we’ve narrowed the list down to the essential six Game Boy accessories you had to have. It’s not technically “cheating”, right? Let’s face it, those batteries went fast on the original Game Boy and you could never predict with complete accuracy how much time was left before the system betrayed you and shut down. Game Genie was an essential force in ensuring you had enough time to beat games by providing unlimited lives and the ability to make enemies beatable in one hit. Admit it, the only time you ever beat Dr. Mario was with a Game Genie. The code book lived inside the giant cartridge eating unit, giving at least some excuse for the added bulk. Sometimes sold separately, sometimes together. Ugh. You wasted so much money on lights and magnifiers that claimed to enhance your experience. Instead, they just added more glare to the screen. Unfortunately, you were fooled multiple times into purchasing different brands. They were all just about as useless, though. Not to mention the lights required even more AAs for the system to gobble down! You still aren’t sure why you had to have this, but you did. The promise of a 256×224 image of your friends picking their nose seemed appealing at the time. The camera made the Guinness records in 1999 for being the world’s smallest digital camera. And what good was a camera without a printer? It was essentially a receipt printer, so you can use your imagination to determine how great the image quality was. Neil Young found some artistic value in the devices, though, using it to take a picture for his Silver & Gold album cover. This pumped golden electricity into your Game Boy! There were only so many stops on a long road trip where you could convince your parents to buy you batteries. At some point, you had to pony up the eight bucks to buy some off-brand car adapter to power you through the Grand Canyon. While everyone else in the car was sightseeing the wonders of the world, you had unlimited time to find keys and beat mini-bosses. It’s not like you really needed to see that giant waterfall yourself as long as someone else in the car snapped a picture with a Polaroid. There was a real danger with some of these car adapters. Nowadays, most cars come equipped with dedicated power supplies. 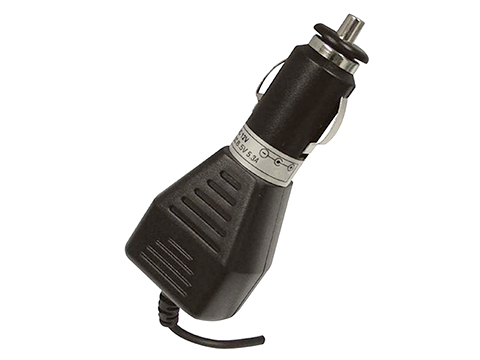 During the Game Boy’s era, power adapters were shared with car cigarette lighters. I still have the burn scars from where one of my adapters fell apart and a coil singed my fingertip, still hot from being in the lighter port all afternoon. Ouch. The rainbow feature didn’t make it to the North American release, unfortunately. At some point, you got tired of sitting on the couch and squinting to see the giant pixels on your tiny green Game Boy screen. Good thing Nintendo solved that problem by introducing the Super Game Boy, a Super Nintendo cartridge that served as an adapter to play your Game Boy games on your giant CRT screen. This device could add some basic color options to the games, but most kids at the time still had a black and white TV in their bedroom. The size of the box is intimidating on its own. After spending a summer’s worth of allowance on each of the above add-ons separately, you finally discovered there was one item that did it all – the Handy Boy. 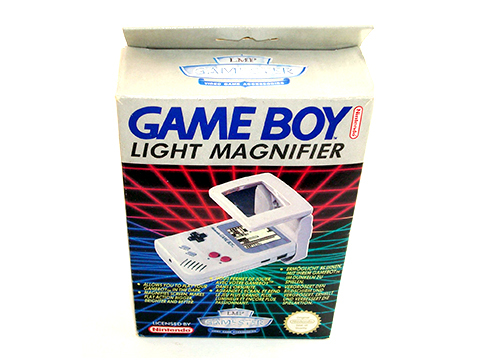 This device made your Game Boy look as if it abused muscle enhancer, bloating the thing into something that could only fit into the pocket of a giant. Instead of going for a casual under-the-radar look of other accessories, the Handy Boy essentially turned your handheld device into that comical exterior-braces nerd from early 90s sitcoms. Was that really worth the trade-off for the magnifying glass, side light, beefy speakers, useless button expanders, and a joystick? Well, apparently, because there were two types of Game Boy owners back in the day: those who had a Handy Boy and those who wished they did. Source images courtesy Amazon, Wikipedia. 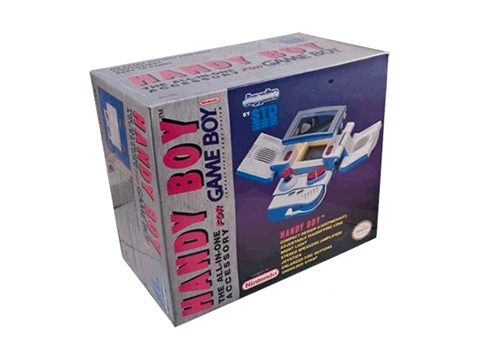 As a proud owner of a Handy Boy I have to say all of its incredible promises are…unfounded. This thing double the heft of the Gameboy and depleted the batteries in record time. Still I thought I looked like such a badass using it! Love this. My Mom occasionally played Ms. Pac Man on my Game Boy and used the Magnifier. The whole thing was a strange visual.